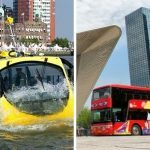 City Sightseeing Rotterdam - Tickets Hop On Hop Off Tour! 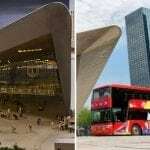 Sightseeing Rotterdam will pass the impressive Market Hall, the spectacular cube houses, the impressive new Central Railway Station and the Euromast. 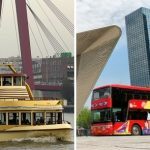 Hold onto your sunglasses when riding over the Erasmus Bridge and the Willems Bridge. Imagine yourself being the Queen of Kop van Zuid and wave back to all the cheerful people along the road. 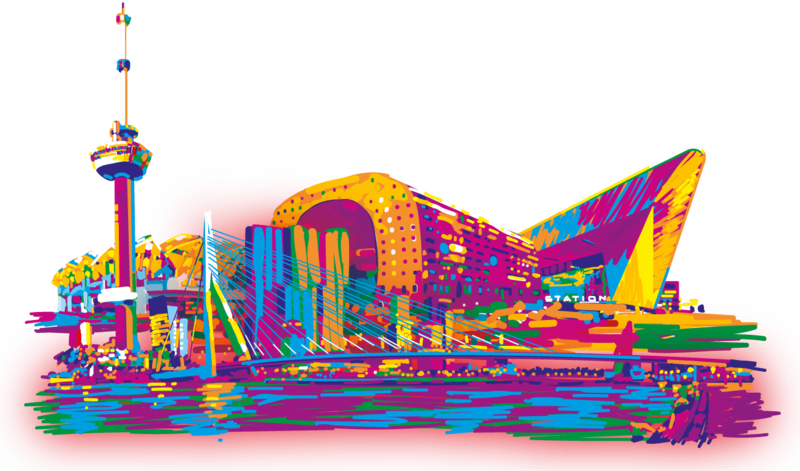 You won’t only admire the skyline of Rotterdam, you will be part of it at the same time! 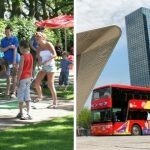 Make the most of your time in Rotterdam and experience the city optimally! 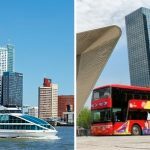 Book with a lot of extra discount the Visit Rotterdam Deal and you will discover the city by bus, from a great hight and by boat. 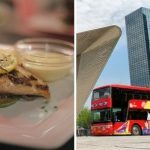 Combine the Hop-On Hop-Off Bus Tour with the Pancake Boat for only € 39,00 p.p.! Book your ticket online, variation guaranteed! The Pancake Boat is located next to bus stop 4. 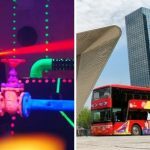 Combine the Hop-On Hop-Off Bus Tour with Lasergame for only € 38,00 p.p.! Book your ticket online, variation guaranteed! Lasergame Rotterdam is situated next to bus stop 4. 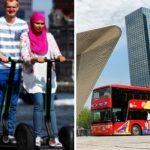 Combine the Hop-On Hop-Off Bus Tour with a Segway Tour only for € 67,00 p.p.! Book your ticket online with extra discount, vatiation guaranteed! 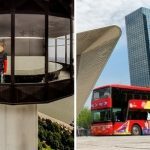 Combine the Hop-On Hop-Off Bus Tour with Miniworld Rotterdam for only € 31,45 p.p.! 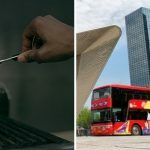 Book your ticket online, variation guaranteed! 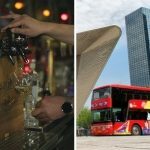 Combine the Hop-On Hop-Off Bus Tour with Spido for only € 33,45 p.p.! Book your ticket online, variation guaranteed! Spido is located next to bus stop 3. 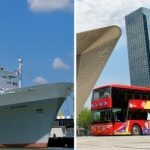 Combine the Hop-On Hop-Off Bus Tour with the ss Rotterdam for only € 32,00 p.p.! Book your ticket online, variation guaranteed! 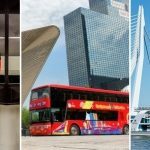 You can book a casual drink in Rotterdam through City Sightseeing Rotterdam. 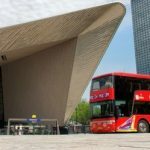 You can enjoy your drink in Rotterdam right next to the City Sightseeing Rotterdam bus stop area at Parkhaven. Restaurant De Zwarte Zwaan in Rotterdam is a perfect place for a good lunch. The Hop-On Hop-Off bus will depart in front of the door at the bus stop. A perfect place for a lovely lunch in an informal, relaxed, quiet and cosy restaurant.